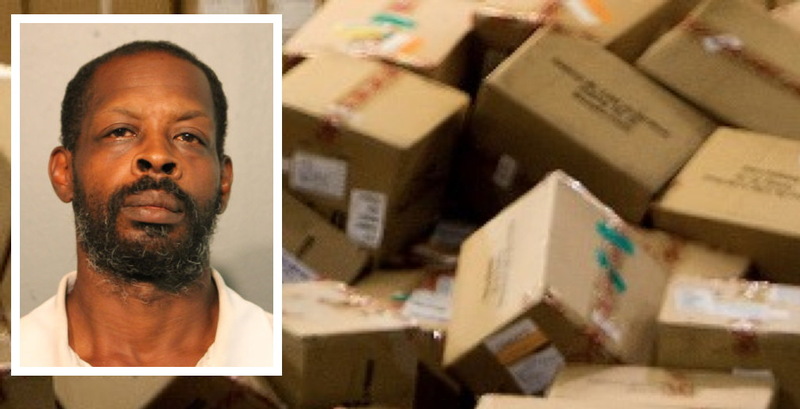 Habitual package thief Errick Shambley is now facing his 64th adult criminal case in Cook County and at least his third package theft case in under a year. Not bad for a guy who's "only" 49-years-old. Most recently, Shambley was arrested in the 3200 block of North Sheffield after police recognized him as the person wanted in connection with December package thefts from the 2900 block of North Racine and the 1100 block of West Wolfram. He was also wanted in connection with the theft of three packages from a home in the 2900 block of North Halsted last August, police said. Shambley is charged with two counts of felony theft and felony burglary in those cases. He was ordered held without bail. Police records show that the packages he allegedly stole contained a garden thermometer and two pairs of earrings. In September, Shambley was sentenced to 60 days in jail for stealing packages in the 2900 block of Halsted and the 3700 block of North Bosworth. He was also arrested in the 800 block of West Buckingham for package theft last February. That case is still pending. His most recent prison term was a two-year stint for stealing a woman’s purse and another person’s cell phone in 2016. His parole for the 2016 cases concluded about a week before his February arrest.